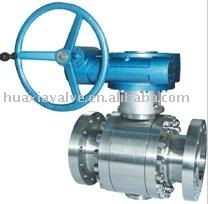 3 PC Forged Body Trunnion Mounted ball valves manufacturers,3 PC Forged Body Trunnion Mounted ball valves exporters,3 PC Forged Body Trunnion Mounted ball valves suppliers,3 PC Forged Body Trunnion Mounted ball valves OEM service. 3PC Flanged forged Trunnion mounted Ball Valve,NPS 2"-32,End Connection Std. : ASME B16.47, ASME 16.5, ASME 16.25. End Connection Std. : ASME B16.47, ASME 16.5, ASME 16.25. .Ball and Stem: SS304, SS316,SS304L,SS316L,SS410,SS416.etc.